business, we suggest you telephone or email first, to avoid a wasted journey. 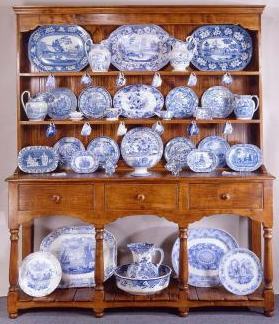 Lovers of Blue & White is a specialist mail-order and internet business founded in 1995 by Andrew and Olwyn Pye, who realized that there were new ways to offer blue and white china to collectors all over the World. Initially concentrating on early 19th Century blue printed transferware (hence our name and still our speciality), the business branched out into other colours, followed by 20th Century collectable china and out of production tableware. Finally, new china was added to the range and today we offer new china by all the best known potteries, alongside our outstanding selection of 19th and 20th Century British china. We are official stockists of new china by Spode, Portmeirion, Burleigh, Churchill & Johnson Bros. and are proud to be Burleigh's largest retailer in the World, offering their entire current range and many discontinued patterns and items. The range we offer and the stocks we carry are unrivalled anywhere. Our team of buyers can source any British maker or pattern made from 1780 to the present day, including all the major names such as Spode, Wedgwood, Doulton, Masons and Woods plus the smaller specialist makers such as Burgess & Leigh, Ford & Sons and Keeling. We offer friendly, expert advice and help to customers, drawing on our extensive library and archive of information about makers and patterns, including over 50,000 photographs and original trade catalogues. Our approach is very much "if you do not see what you want" please ask and we will do our best to find it. We are active members of Friends of Blue, Transferware Collectors Club, International Willow Collectors and numerous other societies and collector clubs. Lovers has an historic home set in open countryside close to the village of Steeple Morden, Cambridgeshire, England (about 45 miles due north of London). 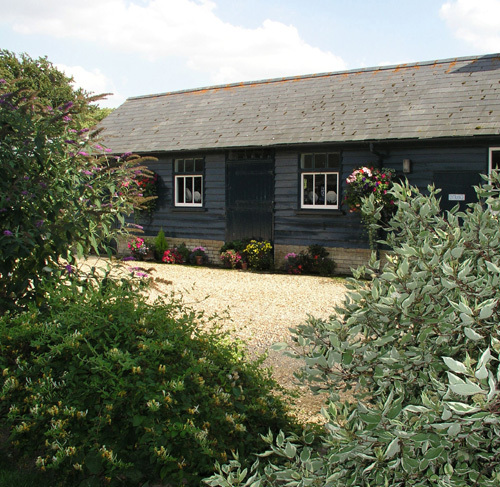 Some years ago we bought a large William IV farmhouse with extensive period barns and stables and began a sympathetic conversion to provide a family home and the base for our business. The buildings may date from 1836, but the stable block and barns are now offices, warehousing and dispatch facilities with the latest computer systems to keep track of many, many thousands of customers, the stock of china and communicate speedily through-out the World. Over half our business is with customers outside the UK and currently we ship to 59 different countries of the World. To some such as the USA and Australia we ship every day. Our website carries our entire inventory at any moment and is updated every day as fresh stock is added and sales removed. We also send out regular mailings and emailings to those who wish to receive them. Whilst using the latest technology, our service is a personal one and you will find that you deal with human beings and all of us here strive to ensure that every customer is satisfied with both the service they receive and the china they buy. We welcome visitors to our showroom. There is almost always somebody here, so we do not have formal hours of business and can usually accommodate you whenever you wish to call. However, we do suggest a quick telephone call or email before setting off to make sure we will be here when you arrive, so you do not have a wasted journey. Our full geographic address is Lovers of Blue & White, The Barnyard, Station Road, Steeple Morden, Royston, Herts., SG8 0RN. Our post code SG8 0RN is unique to us and these days, if you enter that code into most sat-nav systems you will be delivered to our door. Or if you prefer maps enter our post code into Streetmaps, Multimap or Google Maps. The latter two offer aerial views of our farm and premises. If you see Flittons Farm on a map, head for there as that is the name of our house and sits alongside The Barnyard. If you know the area, we are between Baldock and Royston and exactly 1.5 miles north of the A505 on the way to the village of Steeple Morden. We are a farm complex in open country. Also easily accesible from the A1, A14, M11 and the more rural A1198! Top interior designer William Stubbs of Houston, Texas visited us as part of his Moment of Luxury US TV series. If you visit the Moment of Luxury website you will find a webisode of Bill with us here. It takes a bit of navigating, but worth perservering, start on the Home Page and click on TELEVISION, then SEASON 1 and click on Blenheim Palace Watch and finally on Webisode Bill's Love of Blue and White and up we will pop. Also on the Web find us on The Potteries Local History site, the US based Set Your Table, where you will find our article "Wanted - Blue Willow in any Color" and our own Asiatic Pheasants Pattern site, with the history and makers of this traditional design. On our other site Hudsons Antiques there are histories of the Podmore, Walker & Co., Rogers and Hall factories and their patterns. Much of our business comes by word of mouth and we are mentioned regularly as recommended suppliers in English magazines such as Homes & Antiques, Country Living, Period Living, Good Housekeeping, AGA Magazine, The English Home and Country Homes and newspapers including The Financial Times, Daily Express, Daily Telegraph and Daily Mail. US publications Country Home, Washington Post, Victoria Magazine and Architectural Digest amongst others have featured us.